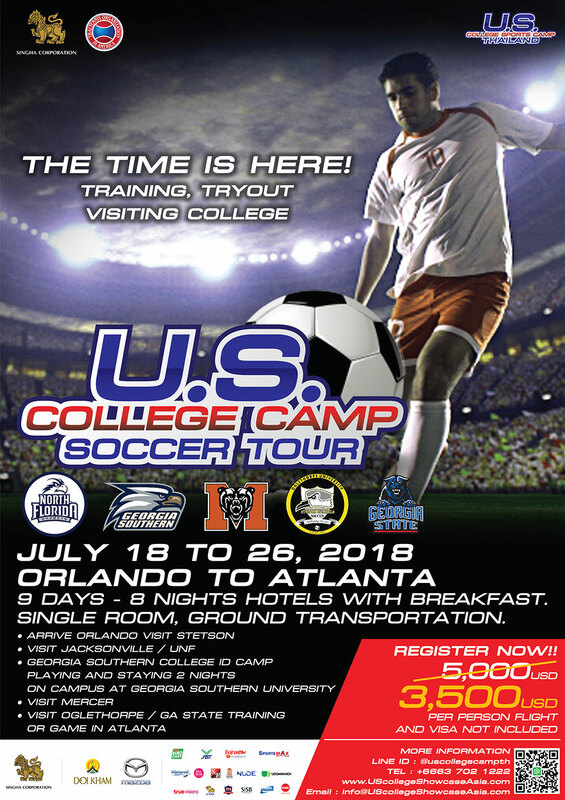 U.S. College Soccer Tour: Training-Tryout-Visiting College! July 18-26: 9 days- 8 Nights: Orlando to Atlanta. all inclusive hotel, breakfast, transportation and tours of 9 Schools of all levels (D1, D2, D3, and junior college). Our coach will be with campers the entire trip and personally guide them to the right places at the right time and aid in understanding all the info. Campers will have an opportunity for training session not only with U19 teams nearby to each school but also with the college teams, when NCAA rules permit. Due to the nature of this special opportunity, there are only 3 spots available. First come first serve! U.S. College reserve the right to accept only potential campers for this tour. We encourage only boys/girls who are looking for soccer scholarship for class of 2018-2020.